Gilletts Spar Bodmin… you’ll find us conveniently situated near Fair Park, just a couple minutes walk away from the Kinsman’s residential estate and Robartes Road primary school. 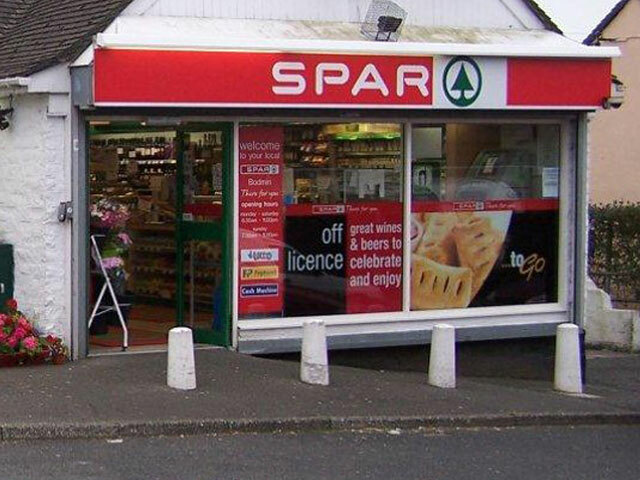 Store Name: Spar Bodmin Store Address: 30 Rock Lane,Bodmin, Cornwall,PL31 1NR. Store Location: Housing Estate Through Road. Gilletts Store Awards: Won the Autumn Store Award in 2001.